Now, how can we get information about location of another person? How to get someone else's IP? Webservice iplogger.org will help us with all of those! The way how iplogger works is pretty simple, you just need to share an IP logger link (a special link generated by our service) by sending via any messenger or email or text etc. 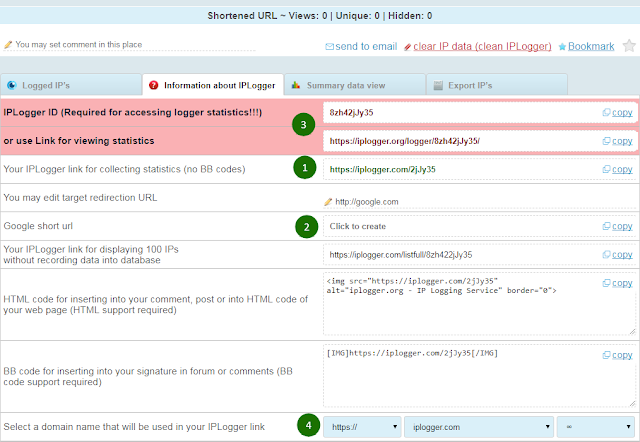 Once a user clicks on your ip logger link, all information about user’s device, operating system, browser, IP address and location will be immediately available for you on iplogger.org. 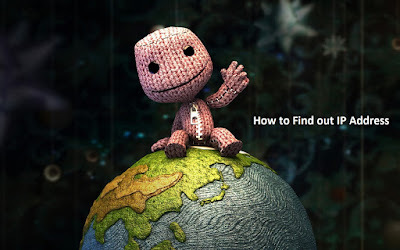 Note that there are many other ways of finding out someone’s IP address and location such as posting invisible image on your blog, any forum in the internet or website, which we will describe in our later posts. Alright, we just have created an ip logger link. Now paste the address of the site to which your logger will be redirecting to in the text field in "Link / Image" block on the main page, then click on "Get IP logger code" button. Next window will display information about your new logger. #1 is the generated short IP-logger link that you have to share for collecting information about users that will click on it. #2 is the same IP-logger link, but shortened with google URL shortener. This link works exactly as your IP-logger link (#1) but may look less suspicious. 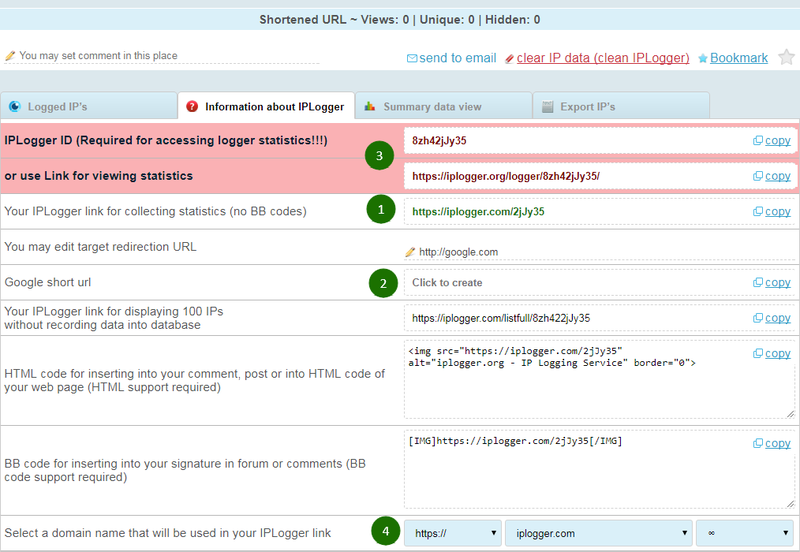 #3 is the iplogger-ID and the link for viewing statistics of your new IP logger. logger ID and statistics link are used to access logs in case if you are not a registered iplogger user. You need to save the id of the logger, or save the link (add it to favorites) to view the statics of the logger. We advise you to register at iplogger.org and get access to logs for all of your loggers via your account, so you don’t need to save any ID’s for your loggers. Now when we figured out how to generate new logger, we need to send the generated IP-logger link to someone whose IP address we need to find out. When user clicks on your IP-logger link, the information about his IP address, location, device, operating system and browser will be collected and become available for you on iplogger.org. Now switch to the "Logged IP’s" tab. (#1 in the screenshot). If there is clicks on your iplogger link and no statistics collected yet, just click on the update button and check whether there are any new records in the statistics for your logger (it is under number 2). We also advise you to click on the button number 3, it will hide the records with bots (such as bots from search engines as google, facebook, vc.com etc.) and you will not mix bots with real user’s IP addresses. Now you can study the information in the collected statistics and wait for new records. Next time we'll talk in more details about statistics with IP addresses and how to use other information available in logs. Subscribe to our blog, add your comments, share! The iplogger might be good for a static desktop but in the world of smartphones, different story. I live in New Mexico and currently it shows me from Jackson Mississippi! Unable to see Google short URL option..
How can I get that? Thanks for answer in advance..